TAMPA Fla. (Reuters) - The library opening with the first day of classes on Monday at Florida's newest college features a sunlit arched roof and cozy reading chairs - but not a single book. 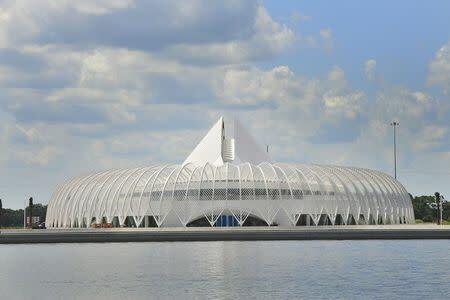 A fully digital library is among the futuristic features of Florida Polytechnic University's striking dome-shaped building, designed by Spanish architect Santiago Calatrava. "It's a boldly relevant decision to go forward without books," said Kathryn Miller, the university's director of libraries. The inaugural class of 550 students, offered scholarships covering tuition to attend a public university so new it's not yet accredited, can access more than 135,000 ebooks on their choice of reader, tablet or laptop. A bookless library is a rarity among U.S. colleges but reflects the high-tech ambitions of the university in Lakeland, Florida. Rising along a drab stretch of highway between Tampa and Orlando, Florida Polytechnic envisions building a technology corridor in the image of Silicon Valley. Without stacks to organize, librarians staffing the main reference desk, which is called a success desk, will steer students to tutoring resources and train them in managing digital materials. While the library is not paperless, students are discouraged from using its printers too much, Miller said. They can buy traditional textbooks in the bookstore, or digital texts when available. Old-fashioned books can be requested on loan from libraries at Florida's 11 other public universities. 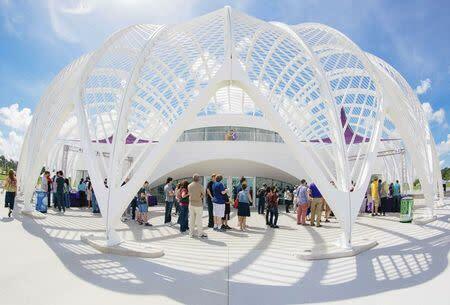 Florida Polytechnic budgeted $60,000 to buy titles through software allowing students one free browse. With the second click, the university purchases the digital book. "Instead of the librarian putting books on the shelf that I think would be relevant, the students are choosing," Miller said. Robust digital resources in an academic library are not unusual, she said, but most also have traditional books. The college consulted with similar libraries run by NASA and a mostly digital medical school library at the University of Central Florida in Orlando. "Digital in some ways is better. People can find things easier, and they can discover more things by accident," said Carrie Russell, a policy analyst for the American Library Association. The downsides include the difficulty of preserving information when technology changes, she noted, and licensing agreements that can require paying annually rather than owning outright. "In the past, you could buy a reference book and it could sit on your shelf for 120 years," Russell said. 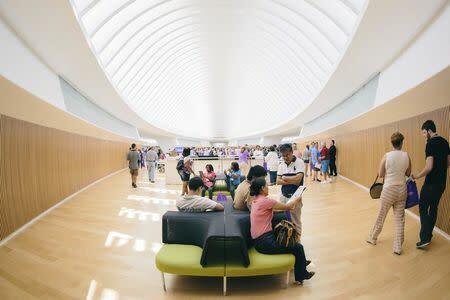 Several thousand such traditional books were inherited by Florida Polytechnic and are gathering dust in an off-campus library shared with a nearby community-based college. The titles can be browsed digitally and requested online from the new, bookless library.